The Dynamics of Air education kit is now available. The material in this resource is designed to provide a deeper understanding of the exhibition Dynamics of Air, and is to be used in conjunction with other resources generated by RMIT Gallery for the exhibition – the exhibition catalogue, didactic labels, artworks, videos, podcasts and virtual tour. 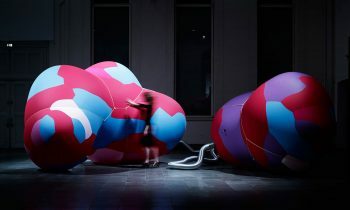 Dynamics of Air is a new exhibition showcasing specially commissioned works by designers, creative practitioners, and engineers that captures the beauty, dynamics, and sensuality of air in our built environment and its critical role in designing for a zero carbon future. The exhibition explores radical innovations for creative sustainability in design and the built environment and brings together leading local and international artists and designers. Dynamics of Air is a valuable exhibition for upper secondary school level and tertiary students. To make a booking for a free guided tour please contact RMIT Gallery on (03) 9925 1717. 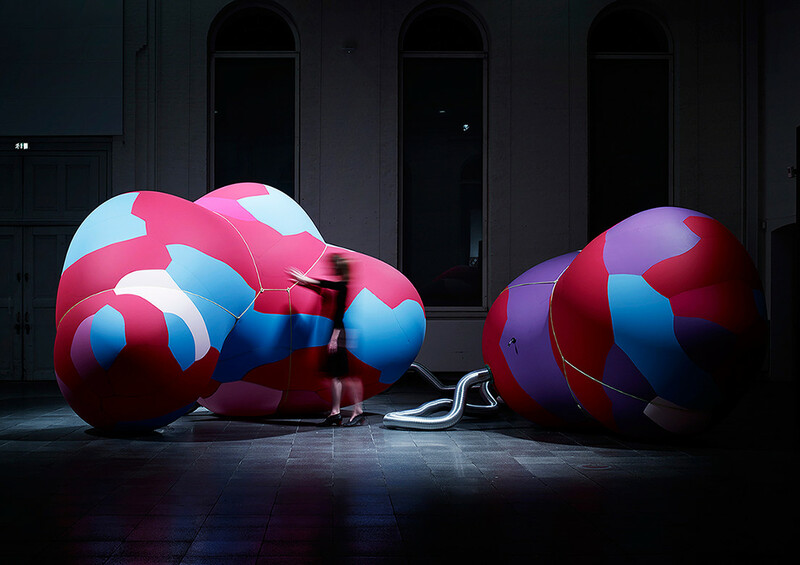 Dynamics of Air is on until 17 November 2018. CITA, Inflated Restraint, 2016. Image courtesy of artist.